Assisi has recently banned the request for alms outside of its many shrines. 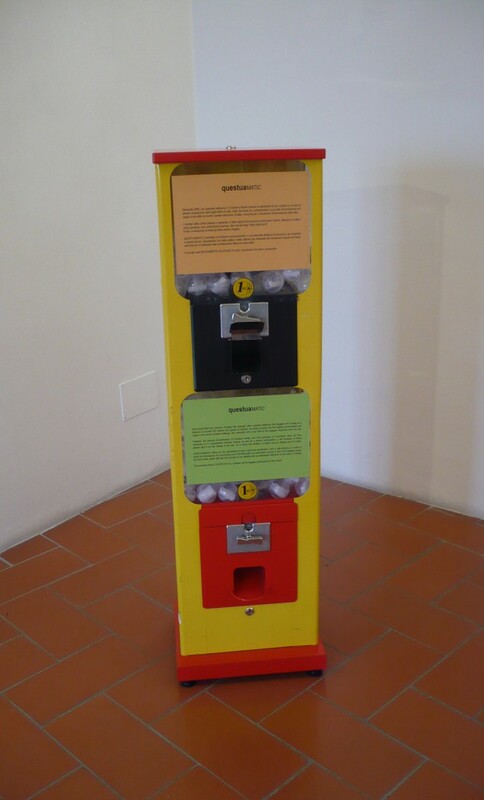 This project takes the shape of a vending machine, placed at a proper distance from the sanctuaries, that dispenses photos of the poor of Assisi and a prayer. The proceeds were distributed between all the poor who participated in the project. To provide the poor with some finance and to give to the religious visitor a prayer. The beggars can obtain some money.